Over the years, many firefighters seeking kilts have asked me if there is a tartan for them. Some large departments have their own tartan, others with pipe bands use standard clan tartans, but there never has been one for Firefighters as a whole until now. If anyone deserves a tartan, it’s these men & women who work so hard to serve the public. The tartan was designed by Linda Clifford & Heather Yellowley. 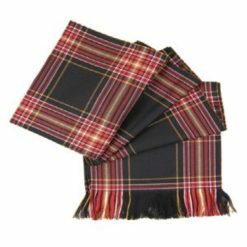 It was woven in Scotland & has been registered with the Scottish Tartans Authority. 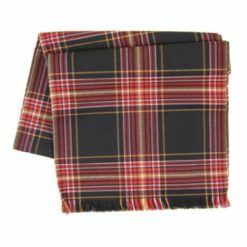 The tartan is classified “Restricted” and should not be woven without permission. 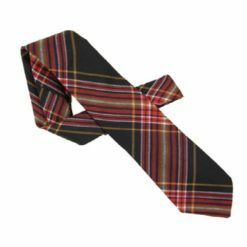 For every purchase made with this tartan, Linda Clifford will make a donation to the National Fallen Firefighters Foundation.